The IFC Mall in Hong Kong is gigantic, practically spotless, and chocked full of delicious places to eat. After my morning pit stop at McDonald’s, I thought I’d step it up a bit for lunch. 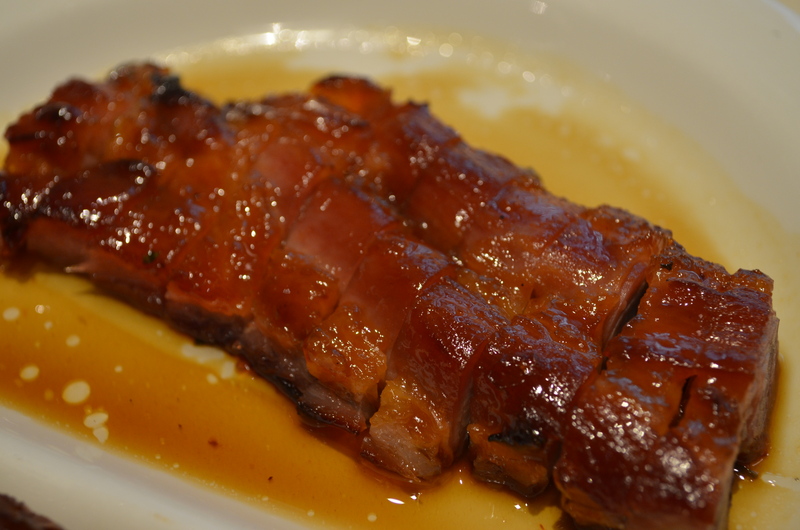 The last few times at IFC, I’d wandered by Lei Garden, opting instead for Crystal Jade and Tonkatsu. When I stopped by after twelve, lunch had been booked up, and I took one of the last spots open (at 2:15pm), kickstarting my next read at the bookstore across the hallway. The place-setting is neat and minimal, coupled with neat tables sectioned off two at a time. 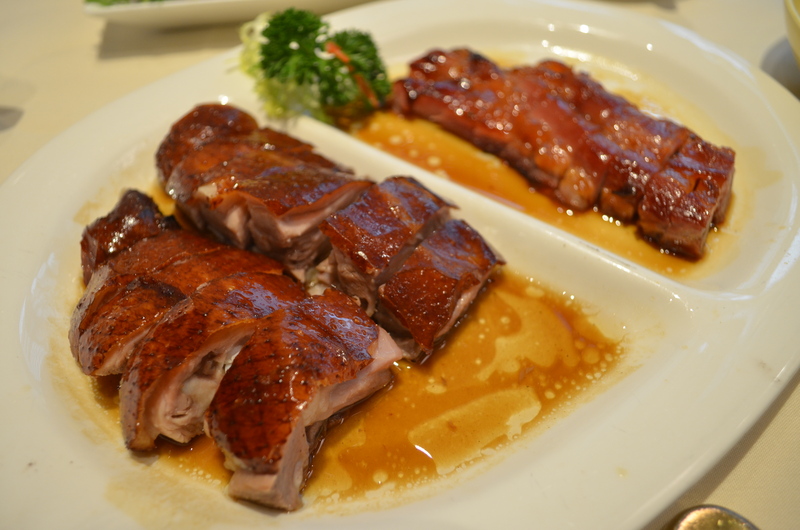 There are a bunch of other Lei Garden locations – many of the Hong Kong island restaurants have one Michelin star, and the Mong Kok location has two. The brand has also branched out into China’s major cities, as well as Singapore. 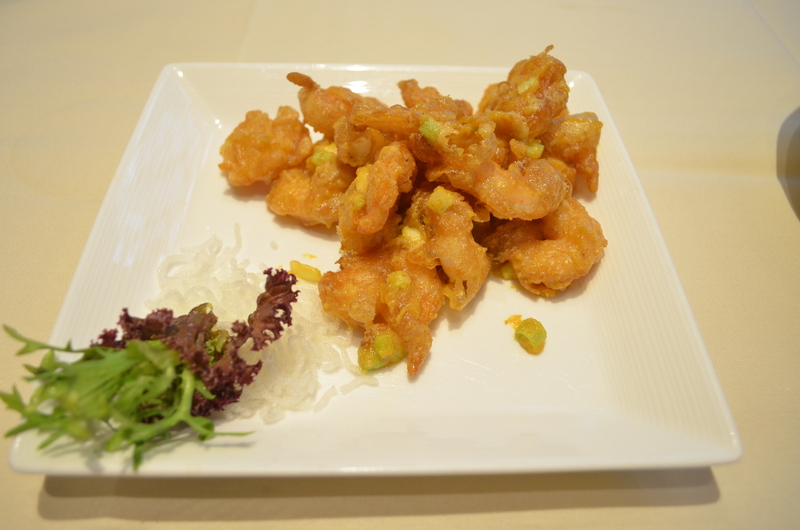 Pricier Chinese food is more difficult to have alone – there’s no three- or four-course set-up that structures or paces your meal, nothing to really determine the order in which you get your various dishes and how all the flavors come together. Any one dish isn’t likely to have as much going on as a Western entrée, so the tendency is to overcompensate with quantity. As far as rhythm goes, you kind of start with smaller, cold dishes, then have the soupier ones, then the doughy or meaty dishes, and finally the sweet ones. 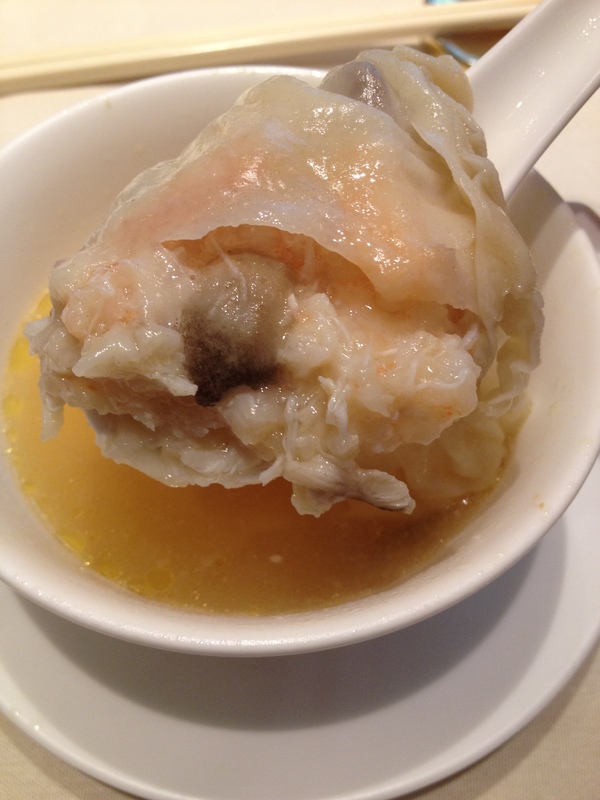 That’s the general evolution, maybe, but sometimes BBQ meats feel more like an appetizer, and maybe you thought about ordering a soup but then went with soup dumplings instead, and the richly flavored seafood might have come out as the second dish. All of those things happened, by the way. So continuity and balance are sometimes hard to achieve when eating Chinese food by yourself. 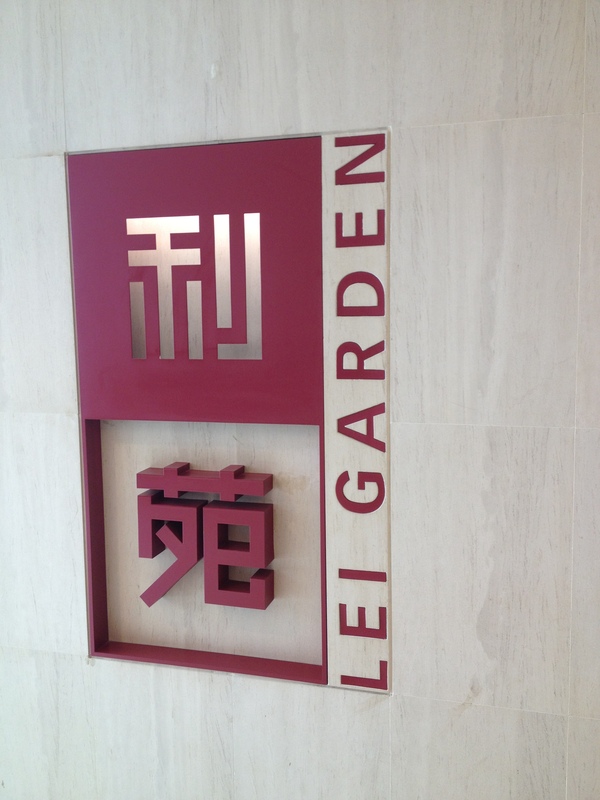 And being a first-timer at Lei Garden, I went with more of a gunslinger approach to ordering. 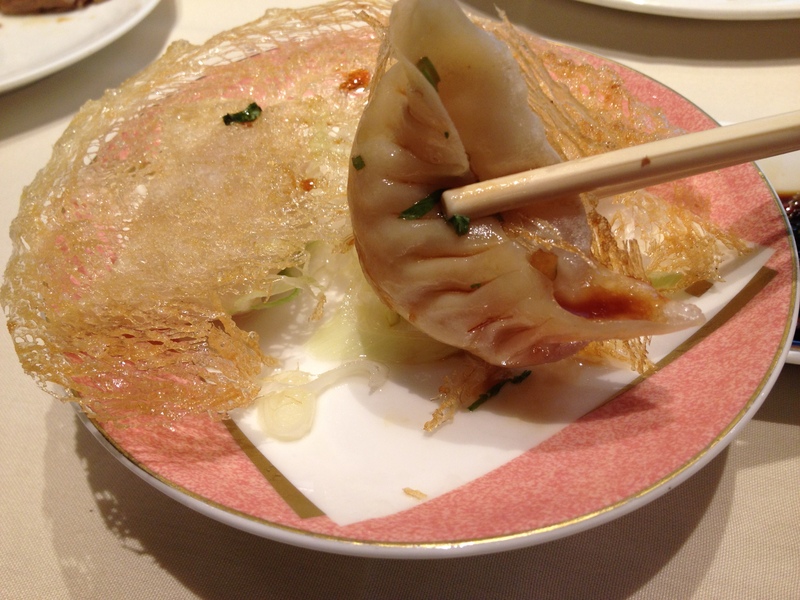 I recommend asking for the regular menu, at the very least to see if there’s anything on there that you want, because the dimsum menu is limited, pared down to maybe thirty or so dimsum-friendly dishes (as opposed to larger-portioned plates). Still, I was glad for the dimsum option, because the smaller portions allowed me to try a few more things than I might have otherwise been able to try. 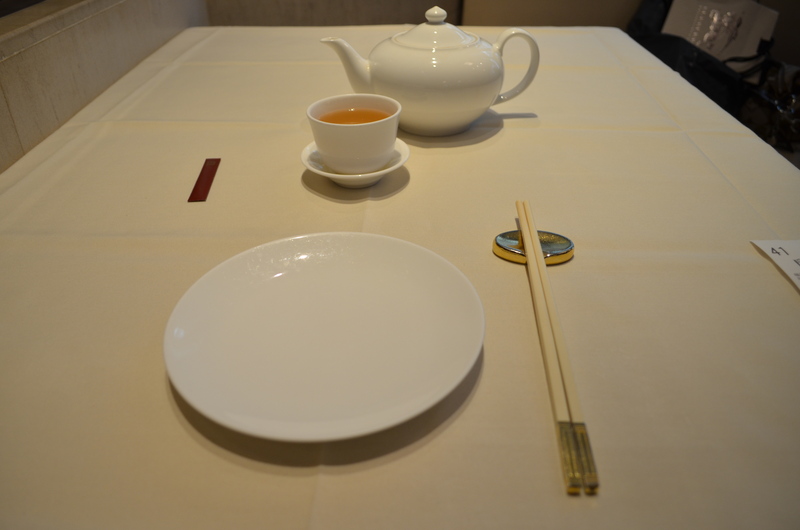 I wish the waiters would’ve been more English-friendly; I got the definite sense that I was only able to see the regular menu and order from it because I switched to speaking Chinese. But if that’s what it takes to get my some barbecued delicacies, then I will do anything short of renouncing my citizenship. 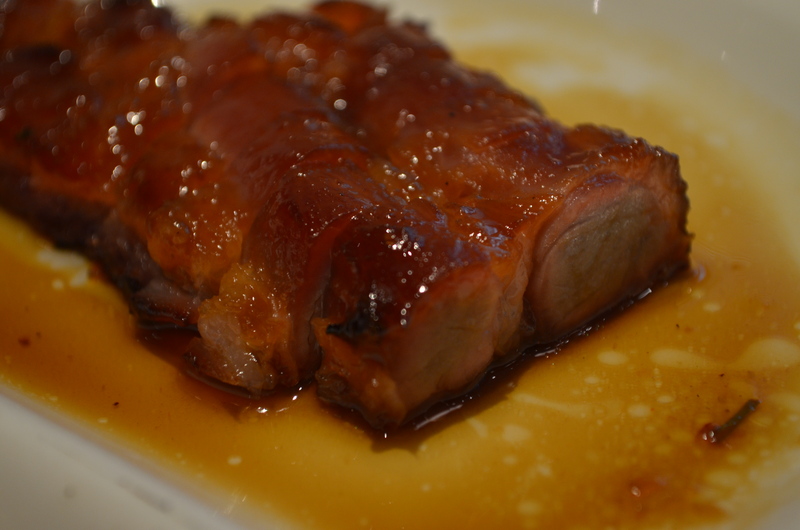 Who am I kidding – why would I want to pay federal taxes when I could be eating sweet, crisped fatty pork? 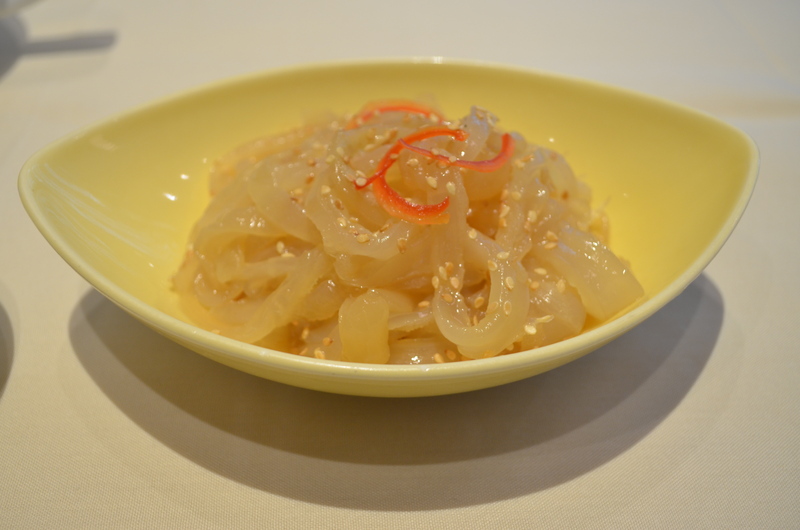 Jellyfish is a childhood thing for me, a delicacy that my parents and my extended family (and thus I) all came to love. Lei Garden’s version is rather thick-cut, almost like dan dan noodles. 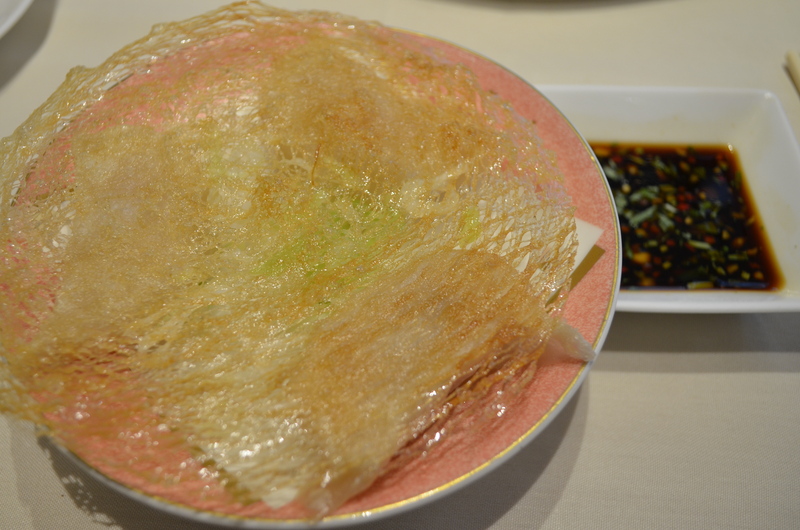 I tend to like thinner, crunchier jellyfish, but it was a nice preamble to the rest of the meal. 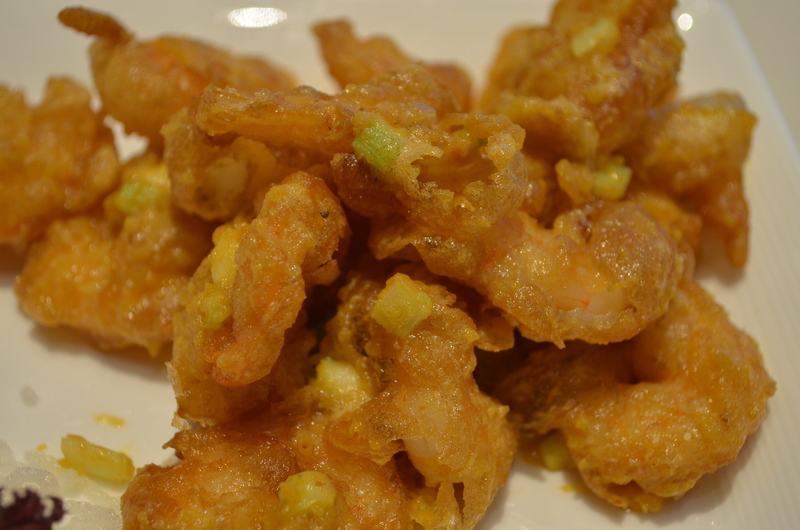 Last February in Shanghai was the first time I’d had anything battered and deep-fried in salted egg yolk, and although that dish was strips of pumpkin (or maybe butternut squash), this was shrimp. A different texture, obviously, but there was still underlying sweetness which goes well with the funkiness of the fried egg yolk. The crispiness held even as the dish cooled a bit, which was nice, although this was one I wished there were other people to help me finish. 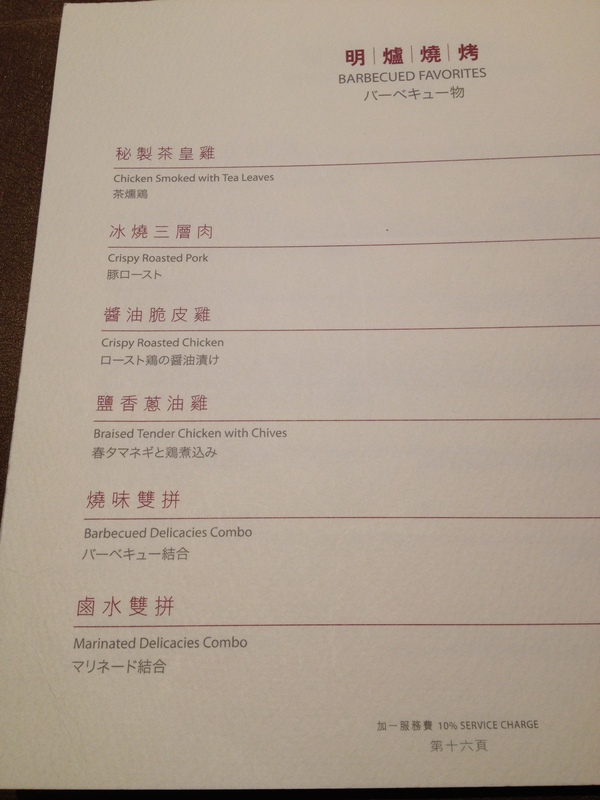 The next dish was pretty classic Canto food, although I hadn’t had roast goose in a long time. The pork was a nice cut, and very sweet, which might be an issue for others, but I’ve been on a honey kick lately. In terms of flavor, the meat and crab dumpling was my favorite – in the rich soup, the dumpling filling was a tempered burst of umami. In hindsight, I should’ve gotten two, but the kitchen was closed by the time I got this one. The second dumpling dish was pan-fried, with a bird’s-nest weaving of crispy dough which I cracked to get to the three otherwise traditional-tasting dumplings below. The crème-brûlée sugar-cracking-esque exercise with these dumplings was neat, but other than that, I would’ve probably traded them for another round of crab-and-meat soup dumpling. 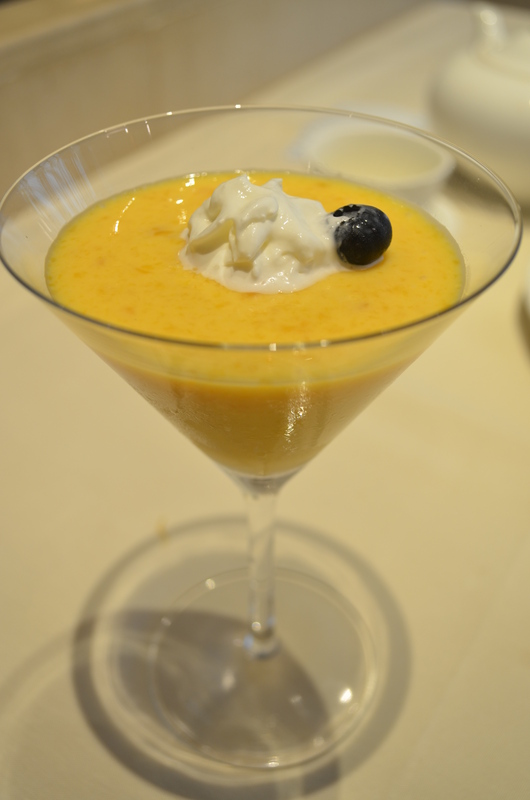 The mango pudding was somewhat of a hurried decision, as the waiter was making last-call-for-dessert rounds, but surprisingly good. Nothing about the flavor or the consistency that was particularly above par, but the martini class was deceivingly large, which was just the right amount of chilled, semi-sweet pudding to round out an otherwise very savory meal. (1) Deep-fried prawns with salted egg yolk, (2) meat and crab dumplings with soup, (3) barbecued delicacies combo, and (4) mango pudding. Fish and crab dishes are apparently good there, too, but felt a bit heavy for lunch. They also have an interestingly soup-of-the-day list, which feature a lot of recipes that skew a bit towards the herbal side.